A Hawthorn serviced apartment building was sold to an off-shore buyer for $15 million on a 4.7 per cent yield, further adding to the strong off-shore investor market in the area. 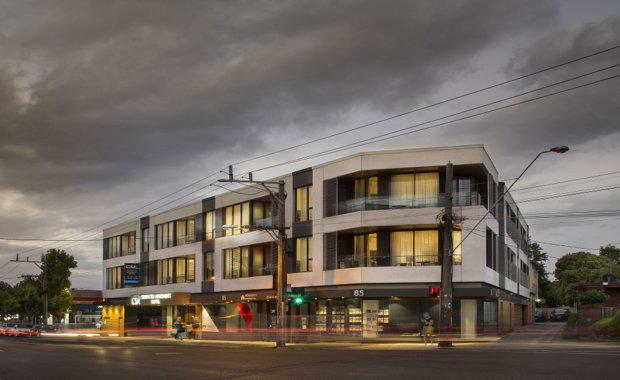 Savills Marketing Agents Julian Heatherich and Nick Peden said the expressions of interest campaign for the 85 Camberwell Road property drew multiple bids from off-shore, local and interstate investors. Completed in 2015, the fully leased building comprises 18 full sized luxury serviced and fully-furnished apartments providing 28 keys, plus retail shops over three levels 22 car spaces on a 950 square metre corner site. The property was fully leased to two tenants - Camberwell Serviced Apartments and Monolith International – returning a current net annual rental of $705,356. Mr Heatherich said the strong price point and yield reflected a long list of key investment attributes including an almost new and securely leased building in a blue chip suburb. "This property has all the credentials that attract serious investors," he said. "It is located in a blue chip suburb only a short distance from the CBD, the building is near new with generous depreciation benefits and built-in rental growth, offers 4.5 star luxury accommodation, is fully leased and has excellent growth potential. "Head of Asian investment Benson Zhou closed the deal shortly after the EOI close and said there were many off-shore buyers waiting to take up any similar opportunities. "There is always a very big appetite from Asian investors for quality real estate in affluent suburbs," he said. "These people do their homework. They know where to buy and what to buy - many having either lived or studied here – and are prepared to pay a premium when they do. "Mr Peden said the prime corner landholding underpinned the value of the property in one of Melbourne’s most sought after inner suburbs. He said the locational benefits including schools, hospitals, extensive shopping, parklands, and public transport, made the property ideal for short and long term accommodation.